Gerry Finn has been a member of Canadian heavy metal staple Killer Dwarfs since the early 1990s. 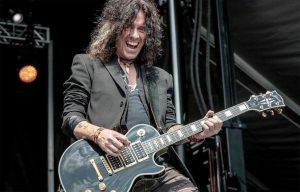 He is also a Newfoundlander and Labradorian, and one of the more sought after and respected guitarists in the country. 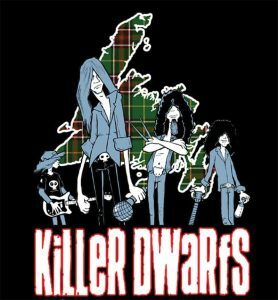 Ahead of the long-awaited Newfoundland debut of Killer Dwarfs on April 18th, Finn caught up with The Herald to share his journey from The Strand to stages worldwide, the ups and downs of a heavy institution, and returning to where it all began. 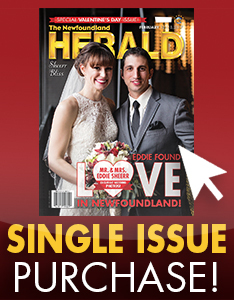 To say this is a long-awaited first showcase in Newfoundland would be an understatement. You’ve been in the band since the early ’90s, and the group has been around since ’83. Truly long overdue! 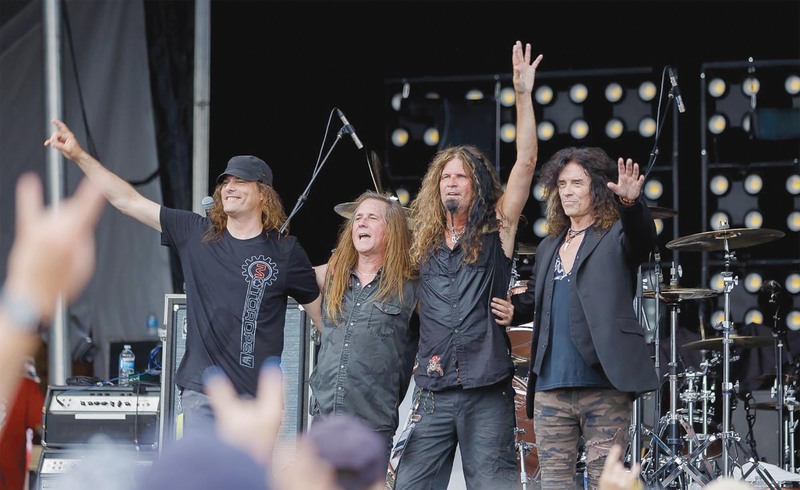 Since I joined the band in 1990 it has always been like a dream, to not only bring the band to Newfoundland, to show the band off to Newfoundland, but to show Newfoundland off to the band. It’s sort of a twofold thing. That we’re finally getting to do it is literally a dream come true. I’m very proud of the band and how great it is at home. To be able to get those two things mixed up is wonderful. Take me back to those early days of playing in Newfoundland and in and around St. John’s. Was there much of a rock, metal scene? If at all? Back then it was The Wonderful Grand Band. I’m one of a generation of people who wanted to grow up to be Sandy Morris. And I still do, and he knows that. That show on TV was really important to all of us. Were there rock bands? There were a lot of cover bands, and that was mostly what I was a part of. We were trying to figure out how to play rock music. The one thing I still find so consistent about the music back home is that the level of musicianship is so high compared to other cities. Back then we were all really pushing each other to try to play like Eddie Van Halen, which is now in retrospect absurd, but we certainly went for it. So take me through your journey from here to joining Killer Dwarfs, who at the time of your joining, were probably at peak popularity? I was a kid playing at The Strand. We’d go to the Flyers Club in Gander, to Tallboys in Corner Brook. When I was a teenager I was playing bars in Newfoundland, and I moved to Nova Scotia to study jazz guitar. When I was done there I moved to Toronto in ’89. By ’90 I got the gig with the Dwarfs. It certainly all didn’t start in 1990. There was a lot of cutting teeth on George Street, quite frankly. The fact that’s the place we’re returning, there’s something very poetic about that I think. Maybe this is where my career will end? Talk about trial by fire, coming straight from university and ending up as guitarist for one of the premiere hard rock/metal bands in the country. It really was. And there’s a Newfoundland connection there. The Dwarfs’ agent at the time was a guy named Dave Kirby and he worked at an agency called The Agency Group. His assistant was Tony Pitcher, and a lot of locals might know him as a sound man Anthony Pitcher. He was Dave’s assistant. The Dwarfs were looking for a guitar player, and he gave me a call. His first question was ‘who is your best friend’ and I remember thinking well, I guess it’s you! When I joined the band the Dwarfs were kind of at their peak. They had released four records at that point, and most of the band’s success was in America and in the UK. Canada was aware of the Dwarfs but not like America. It was a great opportunity to get out of Canada and have a kick at the can in the big leagues. And it all goes back to Anthony Pitcher, isn’t that funny? He used to be our sound man at The Strand and now he’s working with the biggest bands in the world. There’s something funny about that. Outside of your time with Killer Dwarfs you’ve had the opportunity to play alongside a who’s who of the music landscape. Groups like Helix, Burton Cummings, David Usher and fellow Newfoundlander Brian Byrne come to mind. I feel really lucky, really lucky that I got to do all of that. I got to play in St. John’s with David a couple of times. We were the first show at Mile One Stadium. One of the gigs that stands out for me personally was the Iceberg Alley show last year with Burton Cummings. To have my parents there and friends, and Burton is a great guy. It was sort of a dream come true. I’m very fortunate. 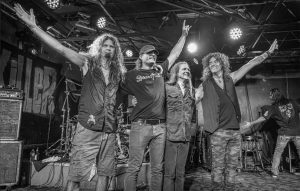 You guys signed with Dave Ellefoson’s (Megadeth) EMP Label Group in 2018, and the rumour is there’s new material in the works. What say you? I think we’re going to release an album of new material this year. But honestly? What we do is nostalgia. A new record for us, how many new songs are we going to put in the set? There’s nothing more boring than seeing a band from your childhood and they play all new material, right? We would never be that pretentious. It’s good for the band to keep generating and creating like that. It’d be fun to throw a couple new songs into a set. Maybe we’ll squeeze some in for the show in Newfoundland? We’re working on the material now, so we’ll see. From label shakeups to bus crashes, to MTV videos and world tours, there have been plenty of highs and lows for Killer Dwarfs. How does a band shake off those dark times and keep going? The band was formed in ’83, so there has certainly been a lot of history. Yeah, we’ve been through it all. It really is like a brotherhood, like a family. We’ve seen babies born, people are dying. People getting married, people getting divorced – lots of those actually. We’ve put more lawyers through university than I can count (laughing). Some of the most incredible times in my life have been with these guys, but also incredibly challenging things like car accidents, illness. We’ve been through it all, so as a result we’re really tight. There are a lot of reasons for bands to stop playing together, but there would be no reason for us to ever stop doing this, because we enjoy it so much. Killer Dwarfs perform on Thursday April 18th at The Rock House with special guests. Advance tickets available at The Ship Pub and Fred’s Records.